Your tenants & prospects want convenience, they want amenities. With world-class and property wide WiFi services, your community can have better internet service than your neighbor. This can reduce your time to rent or allow you to charge a premium for your building. DojoNetworks™ can install & support a high speed WiFi network in your property. 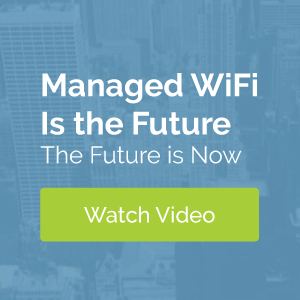 DojoNetworks™ installs a cloud managed and controller based Ruckus Wireless 802.11ac – wave 2 WiFi system. This system provides the solution to the frustrations typically associated with shared WiFi. Our smart system will move your resident’s devices connection to the access point with the strongest signal in the building based on their location. This ensures that they always have the fastest possible internet service for MDU’s. No matter the location, no device should experience loss of signal. In most MDUs, hundreds of wireless routers are all competing for the wireless spectrum. DojoNetworks™ managed WiFi service coordinates all of the access points, making the best use of the limited amount of wireless spectrum. This creates a much better user experience. Our technicians have the ability to support users down to their device and handle any issues with deep introspection. We have the data to diagnose and improve their internet experience. Our system also provides a virtual network for each apartment, so all devices local to the apartment appear to be on a local secure network. Your tenants get the best of both worlds. They have property-wide wifi that is seamless but also the network privacy they need in their daily lives. This VPN enables smart devices within each apartment to be shared, but only with users within that same apartment network. To the rest of the complex, these devices are safely hidden and secured. For example: A WiFi printer can be shared amongst devices in the apartment, but only with others in the apartment. Other smart devices in the apartment are shared but are secured from those outside of the apartment. Most residents consider internet and WiFi to be the same amenity. Telling residents that they don’t need to bring or support their own router is a huge benefit. They will be excited to learn they will be connected and supported from day one without dealing with an ISP directly. The property-wide managed WiFi solution allows your staff and residents to have excellent internet access anywhere on the premises. Offering a connected lifestyle may be the final reason a prospect chooses your apartment over another they are shopping. You as the property manager can install IoT devices anywhere you need to place them for a state-of-the-art building. These can add value for your residents or improved management to your community.